In the roughly half-century since doctors came to understand mesothelioma and other asbestos-related diseases, patient treatment options have largely revolved around surgery, chemotherapy, and medication cocktails. But the mesothelioma trial attorneys at The Williams Law Firm, P.C., in New York City, are encouraged by recent treatment successes using cancer immunotherapy. We want to make sure that clients understand and discuss this option with their doctors. Cancer clinicians are now seeing more significant tumor shrinkage with these new medicines. 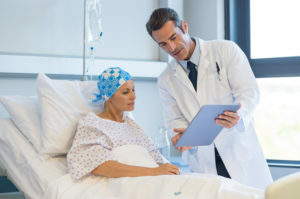 Despite the fact immunotherapy, or any treatment that boosts the body’s natural capacity to fight disease, has been successful when confronting some types of cancer, initial clinical trials of immunotherapy treatments for mesothelioma patients achieved less-than-promising results. Doctors, however, have expanded the variety of immunotherapy drugs and strategies. Cancer clinicians are now seeing more significant tumor shrinkage with these new medicines. Regardless of whether you’re recently diagnosed with an asbestos disease, or you’ve already tried several mesothelioma treatments, attorneys at The Williams Law Firm in New York City take pride in providing “meso” survivors just like you with legal advice and assistance in battling the disease. If you or a family member was diagnosed with mesothelioma, please contact The Williams Law Firm online or call (855) 955-6376 for your free case consultation. Our New York asbestos attorneys represent victims from Manhattan, the Bronx, Queens, Brooklyn, Staten Island and across the United States.